In one of his writing workshops, Dave talks about how in Hollywood, film makers never want to use the same set twice, if they can help it. In one scene, the protagonist will be in a hotel, in another on a boat, in another in an alley. Even if the film takes place in the same castle the whole movie, they will try to put each scene in a different part of the castle--one in the dungeons, one in a tower, one in the entrance hall. We can do this with our scenes in novels too. Instead of having three scenes in our protagonist's kitchen, maybe we want to see if we can move one to a coffee shop and another to the zoo. By having each scene take place in somewhere different, we not only keep the setting interesting and fresh, we expand our setting. We are making our protagonist's world feel bigger. But Dave's advice on setting crossed paths with a few other things that were going on with my own writing, and I soon realized that the advice doesn't just apply to setting. I started seeing a lot of other ways to expand and deepen scenes. So that's what I'm here to talk about today. 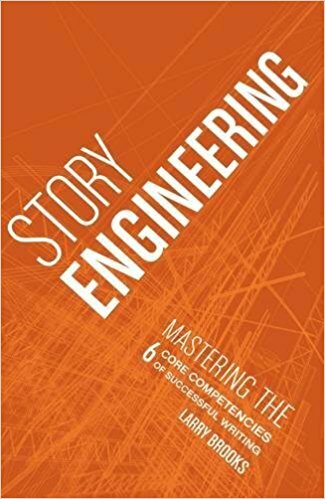 Like I mentioned with Dave's writing tip, the following are not rules that every scene in every story should adhere to, these are just techniques to consider. They're great to turn to if the details in your scene feel stagnant. So you already have the setting bit down: expand your setting by putting scenes in different places. Great. But, remember how I said not every story should follow that rule? Well, even if you have multiple scenes happening in the same place, you can still expand that place. Say what? Yes. It's all in the details. As most writers have probably figured out, if you tried to describe everything that's in a room (for example) in your story, your story's pacing is going to go so slow it dies. We don't want to describe every. Single. Thing. In a room. It's not important to the story. Even if it's a great description, it will get boring. So, instead, we describe enough of it to get a good picture and a good feel of the place. But, here's how to expand it. Every time your character goes back into that room, you can mention a new little detail (or a few) about it. The first scene that takes place in the room (let's say it's a bedroom, since I'm in mine), you might describe the overall layout, some important pieces of furniture, then you'll want to mention some details that tell us something about the place (and the character who lives there). Like in my room, I have pointe shoes from ballet hanging up--that's a detail that tells people about me. 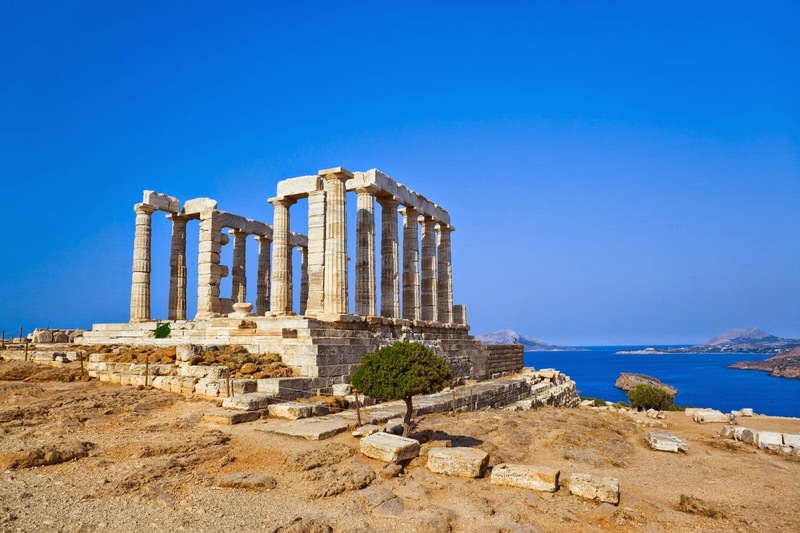 On my nightstand, I have a vase of Poseidon I got from going to Poseidon's temple in Greece. That's another interesting detail. Near my window, there's a crack, and one time I woke up in the night and heard a mouse in it. So we have some interesting details, but I have way too much stuff in my room to describe all in one scene. But, the next time I write about a scene in my room, I might mention a few different things. I'll expand it. On my wall I have a picture of Jesus done by artist Del Parson. I took an art class from him in college, and he signed the back of the painting for me (by the way, that tells you some more things about me: I like to do art, I took a class from a professional, and I'm christian). On top of my wardrobe, I have all my Harry Potter books lined up. On my dresser, I have some cute chicken figurines. The third time a scene takes place in my room, I could mention some more details: I have loads of pillows on my bed, a Michael Jackson nesting doll, and family pictures. Every time I write a scene in my room, I expand my room a bit. Some of you might be thinking, "Wait a second. Then the reader won't be able to keep your settings straight." Yes, that's true if I only described completely new things every time. You'll want some "anchor" items. Every time I write about my room, I could mention my desk and pet bird, Johnny. We want to mention some of the same items regularly. For example, in Harry Potter, almost every time someone comes into Number 12 Grimmauld place, J.K. Rowling mentions them (almost) running into, knocking over, or tripping over a troll-leg umbrella stand and she also mentions the talking (or rather screaming) portrait of Mrs. Black. Those things "anchor" us into Number 12 Grimmauld Place. They stay consistent. But in addition to your anchors, you can add some new details to expand the place. We learn something new about it every time--and maybe by the end of the book, we have the whole room described. Guess what? This doesn't just work with settings. We can use this same technique to describe our characters. Again, we don't want to describe every. Single. Feature. Of a character all in one sitting. It's too much! So first we might describe the dominating physical features--the mustache or the mole or the missing finger. But then, through each scene the character is in, we expand it. We can describe their neck, chin, back, waist, hips, lips, ears, nose, fingernails, voice, the list goes on. (For a great list of physical attributes and how to describe them, check out this site.) Over the course of the book, we may have accumulated a pretty thorough description of our character. Again, we want those anchoring features. Harry Potter's green eyes, jet black hair, glasses, and, of course, lightning shaped scar are all anchors Rowling uses when describing him. Those features anchor us to the physical part of Harry. They're also the dominating features--meaning they are what distinguish him physically as Harry the most. They're the features that stand out. Surprise, surprise. This also works with the internal make-up of a character. Again, we have those anchoring internal features (which are the dominating features). Maybe your character is the queen of sarcasm, but loyalty is very important to her, and she's very superstitious. Those might be her anchors--the dominant, consistent parts of her character. They'll play into her voice in every scene. But in every scene she's in, we might just learn one more little tidbit about her internal make-up. It could be something small, a like or a dislike: We learn she doesn't like chocolate. 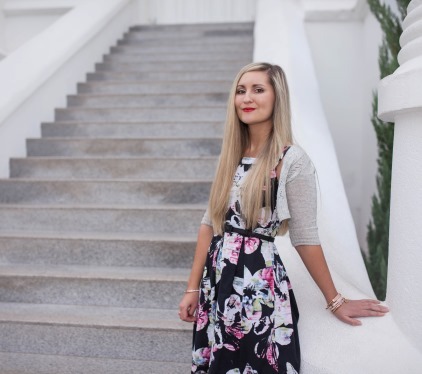 It could be something mentioned from her history: She once got in an argument with her mom about religion that frayed their relationship. It could be another characteristic that's not prominent: She can be a bit self-indulgent. It's not a dominant trait, but it's there. So we are expanding our character throughout the book. With expansion, we don't want to get carried away and just throw in the expanding details wherever and however. We don't want to force the fact that our queen of sarcasm hates chocolate into a scene. We don't want it to sound random or out of the blue or forced. The details you use need to flow into the story seamlessly. We could mention our character doesn't like chocolate when her friends offers her some. We don't want to throw it in there when she's scuba diving--unless we can find a way to make it relevant so it can flow right into it. Likewise, I wouldn't want to mention the fact that I have a Michael Jackson nesting doll on my shelf if I have the lights in my room off and I'm trying to fall asleep--unless my thoughts naturally wander to it. You can use expansions in other aspects. You can expand your novel's theme. If I'm writing about how love conquers all, I might start exploring the theme with a parent-child relationship, and then mention how it relates to a romantic relationship later as an expansion. Look around, explore, and see what else you can expand in your story through scenes. Can you expand a relationship? Sometimes deepening can overlap with expanding in some of these examples, depending on how you look at it. But instead of expanding our setting or character, we dig deeper into them. If we wanted to deepen the setting instead of expanding it, we get more detailed with items we've already mentioned--most likely our anchor items. Let's get back to Number 12 Grimmauld Place from Harry Potter. If I wanted to deepen it, I could describe the troll leg umbrella stand or the portrait of Mrs. Black in more detail. Now I mention that the troll leg umbrella stand has a toe missing. To go deeper, I explain what that part of the foot looks like in more detail--it looks withered, like the toe just withered away and shrank off. I can get deeper and deeper by describing the troll leg stand or the missing toe area in more detail each scene that its in--I'm defining it with more specificity. Okay, it might sound a little ridiculous to do this with a troll leg umbrella stand, but this is a great technique to use with settings (or items) that are significant to the story or character. If my Michael Jackson nesting doll is a symbol for the theme of my story, I might describe it in more and more detail in each scene its in. It gets deeper, and it feels more important. Your characters have feelings. Of course. They can have feelings about the setting. The more personal the setting is to someone, the deeper it feels. Number 12 Grimmauld Place gets more depth when we learn that it's Sirius's childhood home. If the story were told from Sirius's viewpoint instead of Harry's, it would feel more personal and deep to us as we learned more about Sirius's childhood there, how his parents and brother were into the Dark Arts, and how he didn't fit in, and never felt like he belonged, how he ran away from the place, and now, he's imprisoned in it because he can't be seen in public. We could deepen the personal aspect each time a scene takes place there. Say the first time, we learn that it's Sirius's childhood home. Then the second that his mother frequently abused him when he was there; one time she actually chained him up in his closet. In the third, Sirius is in his bedroom, and he remembers how he'd left a rude note on his dresser, had emptied his closet, and hid his favorite book under a floorboard, when he ran away from home. So we get deeper and deeper with the setting (and the character) on a personal level. This follows the same pattern. 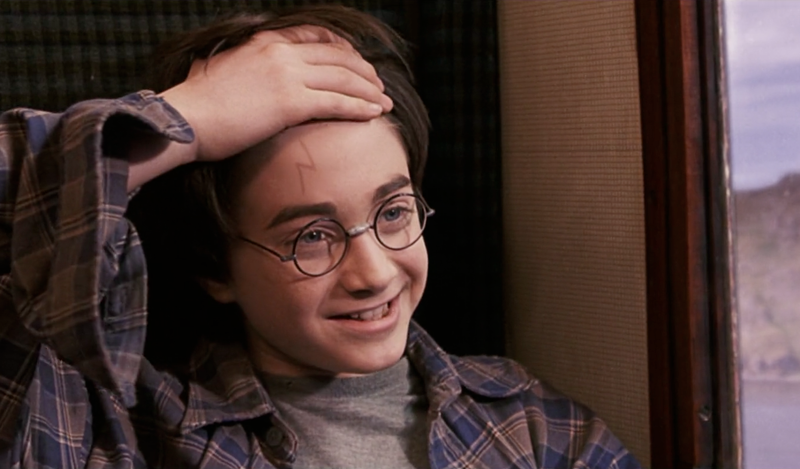 One of Harry's physical anchors is his lightning-shaped scar. We could deepen it by describing it in more detail as scenes went on. First, all we know is that it's a lightning-shaped scar on his forehead. In another scene, we learn it's in the exact middle of his forehead (I don't believe the books ever say exactly where it is, which is why book covers and movies have it in different places.) In another scene, we might describe the texture, maybe it bumps up or feels like a ridge. In another, we might describe that it's tanner than the rest of his skin. Make sense? In the books, Harry's scar does get a deeper and deeper meaning, which is more tied to magic and his internal self, than just the physical. Which is a nice segue into the internal. With each scene, we can go deeper into a character's internal make up. Back to that queen of sarcasm who hates chocolate. In one scene, we could learn she got in an argument with her mom about religion and that frayed their relationship. Maybe in a later scene we learn that her argument with her mom led the queen to start an atheist club--to prove that not all atheists are "evil." Through the story, we would get deeper and deeper into this subject by getting more detailed, specific, and fine-tuning our explanation of that trait. Most likely, though, we'd want to deepen one of our characters' dominating internal characteristics--probably the one that will be part of their character arc. For this character, maybe first we see her sarcasm, then in another scene, learn that she can't deal with raw emotion, and that's why she's sarcastic. We delve deeper and deeper into the internal structure sarcasm has in her. To do this, we might talk about the why and how of her sarcasm, getting more and more specific with it. While deepening might relate to the character arc in subject matter, it is not actually the character arc. Character arcs have to do with putting things in motion. So expansion has to do with adding tidbits, and deepening has to do with delving further into the subject. Well, motion has to do with putting things in motion. A bed had been pushed against the wall. Pillows sat on it. Above it a shelf had a Michael Jackson nesting doll. A bed seemed to grow out of a wall, jutting into the room. Pillows curled up and into the comforter, which sprawled off the bed and swept the floor. 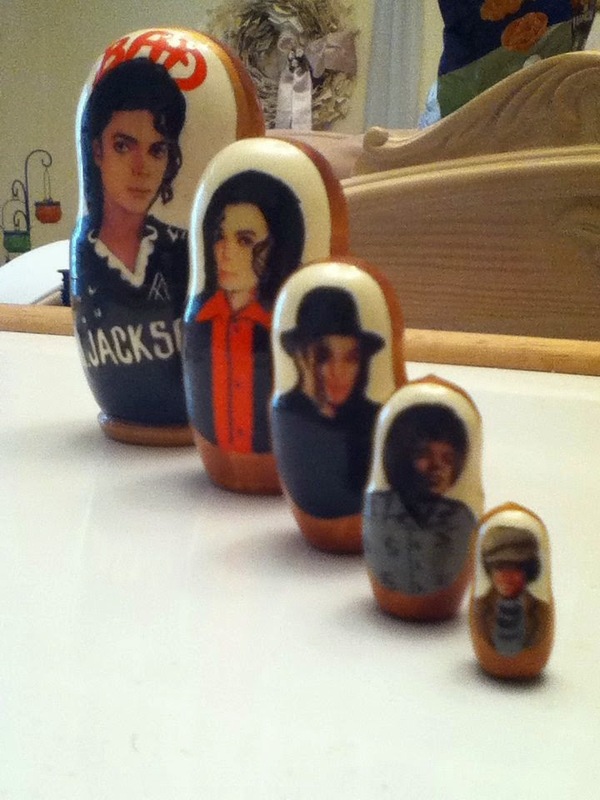 A Michael Jackson nesting doll hatched open on a shelf. Words like "grow," "sprawl," "swept," and "hatch," suggest motion in the setting, even though the bed, pillows, and doll aren't actually moving. Combine your descriptions with a sense of motion, and it will make them more interesting. In this example, we're putting things in motion in a single scene, a single moment of description. But, you can put places in motion over the course of several scenes. Seasons and holidays offer a ready-made way to do this. In the first scene with a park, you describe the park in summer. In the next scene, you describe it in fall. In the next, winter. The place has a sense of motion to it. It's changing in each scene. J.K. Rowling does this with Ron Weasley's room. One summer when Harry goes there, he notices frog spawn in a tank on the window sill. A whole year later, in the next book, J.K. Rowling mentions that there are frogs in a tank on the window sill. In those two sentences, that take place hundreds of pages apart, she created motion in a setting: the spawn has hatched and grown into frogs. It's cool that she pays that level of attention to such insignificant details, right? You can do this with the "internal" part of settings. Put how your character views and feels about the place in motion. How they feel about the setting changes as the scene progresses, or, through each scene the set piece is in. A house up the street that started off scary, now feels like a peaceful getaway. The character's view of the place had motion. It changed. Put your characters in motion. Obviously, we should be doing this in general, with their character arc. Your character should be changing throughout the story. But, it works in other areas too. You can put the external features of your character in motion. A scratch heals up. Puberty hits. Their hairstyle changes. The way they walk down the hall changes. Their build shrinks to something scrawny. Putting the external features in motion can suggest what's happening to them internally. If they've become very skinny, it might suggest depression and lack of appetite. Characters should be in motion internally, especially with their character arcs, but even in just how they react to what is happening to them throughout the story. But internal motion works even on a micro level. A few weeks ago, I was rewriting and editing a scene. On the surface, the scene did exactly what it was supposed to. It furthered the plot. The characters were in character. I described the setting. But it just felt a bit blah to me. Something was off, or missing. As I studied it, I realized that while my viewpoint character was in character, he had no motion. He wasn't really moving all that much between emotions. He wasn't moving between intellectual states. For a second, I wondered what I should do to fix it. I mean, nothing in the scene spoke directly to his character arc--the main way he was supposed to grow and change in the story. And I couldn't really force it in there. Then I realized: I needed to create a mini-arc just for this scene. So I did. I sat down and brainstormed how I could move his emotional and intellectual state at the beginning of the scene into a different one by the end of the scene. And the way he changed in that short moment had to relate to what was happening in that scene. The result? Amazing. So, you can create motion in your characters internally even on a micro level. They can be changing emotional and intellectual states even in one scene. Heck, even in a couple of sentences. But it becomes more interesting and more complex because it adds motion. My character wasn't internally stagnant in my scene anymore. His thoughts and feelings changed. There is a thing in writing called "resonance." It's not talked about much, but you can learn all about it in Dave's book, Drawing on the Power of Resonance in Writing. I'm not going to explain the whole concept of resonance here. It's another topic and too much to fit into this post. But if you are familiar with the concept of resonance, I wanted to mention that expanding, deepening, and putting things in motion can help you keep the internal resonance of your story from feeling stale. Internal resonance is created through repetition in stories, but if we keep repeating the same things, there is a chance it can become stagnant. So, expand, deepen, or create motion to breath life and power into it again. Expanding, deepening, and creating motion are three ways you can take your prose to the next level, kick up interest, and add complexity--even in the very smallest details of the story. These three techniques will help keep your story from feeling stagnant, in the broadest sense, like the novel as a whole, and in the smallest sense, like in descriptions of items. Remember, these are just guidelines. 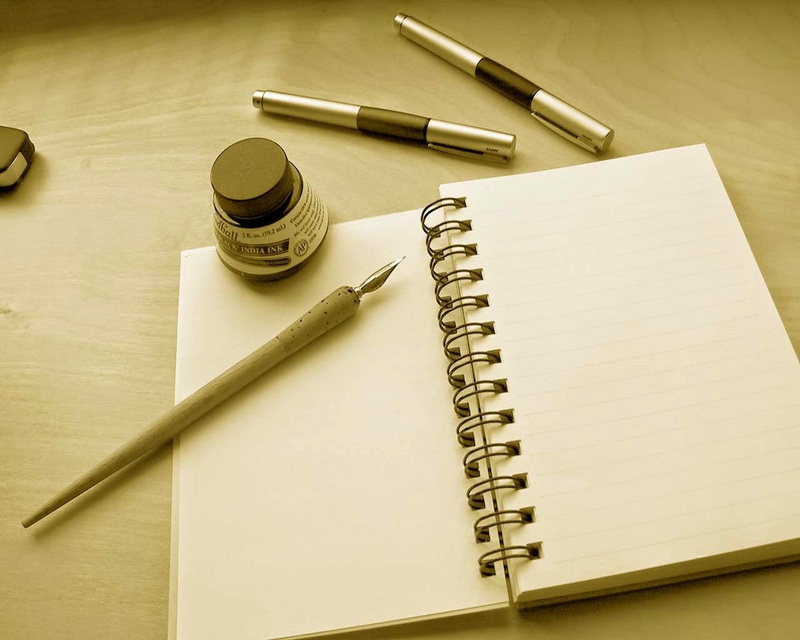 How much you want to stick to them and use them is up to you and the kind of story you are writing. Anything can be taken to an extreme. But these are great methods to be aware of. Like I said earlier, see what else you can apply these three methods to. Can you expand, deepen, or put into motion a character's voice? Sure, as long as it doesn't feel random and out of place. Do you have ongoing jokes in your story? Expand, deepen, and create motion with them so you keep them funny and not stagnant. Next I'm working on a post about writing subtext. Hopefully it will be up soon. This is a fantastic post! Thanks for spelling it out so well. I'll definitely be using these tips while I revise.